With its focus on the visual and inspirational, it’s no wonder that Pinterest attracts an audience of active users who like to shop online. A successful presence on Pinterest can help drive traffic to your small business website and increase your online sales. With a higher average order value, customers spend more money online when they convert from a Pinterest referral than any other social referral. To ensure you are doing all you can to maximise your small businesses presence on Pinterest, we take a look at a few tips to help you tap into all that this great visual platform has to offer. Before going into more detail about managing your ongoing Pinterest presence, it is important to get off to the right start. Even if you have been up and running for a while there is no harm in going to back to revisit the basics to see if anything needs improving or amending. The best place to start is Pinterest for Business itself. It will guide you step-by-step guide through setting up your business account, verifying your website, adding the Pin It button and creating pins and boards. Profile. Make sure you complete your business profile and include your logo. Your profile page is where your boards and pins are kept. Your bio should be a snapshot of your business, who you are and what your business stands for. Don’t forget to include your website address. To humanise you business a bit more try creating a separate ‘about us’ board, giving a behind the scenes look at your business and staff. notonthehighstreet.com has a whole board dedicated to their craft sellers. Boards. Categorise your pins into separate themed boards and give each board a specific title and a strong cover images. Don’t go mad at the beginning creating loads of different boards. It is better to start with a few, easily manageable boards until you get going. When starting a new board try to putting a number of pins up right at the start so that your board doesn’t look empty. An empty board is unlikely to inspire someone to revisit. The first rule. As with any social media platform try not to overly promote your products. There is nothing more off-putting than blatant self promotion. Your aim should be to have a balance of content that taps into the lifestyle and interest of your target market. Inspiring images. Think more about how you can best set the stage for your products. Rather than using standard, run of the mill stock product photos, think about how you can create inspiring, beautiful images of your products. Try photographing them in real life situations and settings. Take a look at jewellery retailer Stella & Dot’s Pinterest boards. The images are bright, colourful and inspiring. Each of their boards have specific titles and a great cover image with the titles overlain (you can create just such cover images on Canva ). Don’t forget Pinterest is a visual medium so video can work extremely well too. Rich pins. To get the most out of selling your products online it is worth getting aboard with Rich Pins. These are specific tools to help you sell on Pinterest by offering extra information about your product – making it easier for customers to purchase from you. As a small business the Product Pin is the most important Rich pin. Popular amongst Pinners, over 2 million save product pins to their boards every day. Appearing on your pin the product pin show realtime information about that product including pricing, availability and links straight through to your purchase page. For further information checkout Pinterest Rich Pins. To get the most out of Pinterest, you need to take a broader approach to content – think a bit outside the box considering the wider lifestyle and interests of your target market. Take a look at what other businesses in your industry are doing on their boards. What are the wider industry trends in your business? Create boards about what is on trending now or next season. Such as this ‘Trending Watch: Neon’ board from notonthehighstreet.com. Womens sportswear retailer Sweaty Betty do lifestyle brilliantly on Pinterest. In addition to their lively and interesting product boards they have a huge variety of lifestyle oriented boards to appeal to their target market including Beauty Tips, Gym Hair, Healthy Selfies, Best Pools in the World, Guide to favourite places, Quotations and Mantras and Food & Drink. For a bit on inspiration take a moment check out Sweaty Betty’s Pinterest page. Of course driving potential customers back to your website is key to increasing your online sales. In addition to your great product boards, also include some other content to interest your audience. Blogs. Have a board dedicated to your blog posts (I’m sure most of you have realised the benefits a blog can bring to your business by now!). This not only provides some great content for your audience, it also leads them onto your website. Here’s an example of ShopIntegrator’s own small business blog board. Special offers. Special offers and discount codes are another good way to entice an audience back to your site and give a boost to your sales. Make it exclusive to Pinterest and don’t forget to promote your offer on your email newsletter. Special seasonal boards: Creating fun and inspirational boards around seasonal gift ideas is a great way to grab attention from pinners and get them to click-through to your website. Gift company notonthehighstreet.com creates great boards at key seasonal periods – packed full of gift ideas for their customers. Time is precious for small businesses owners so it is essential that the effort and time you are putting into social media is achieving results. It is important therefore to keep on track of how you are performing. Understanding what is working and what needs improving upon is essential to ensure a successful presence. Pinterest Analytics: Once you’ve set up your business account you can access Pinterest Analytics. This way you can measure how your profile page is performing. Pinterest Analytics will show what pins and boards people like most from your page; including number of impressions, repins, and click-throughs. You can also learn about your audience demographics, their interests and other brands your audience engage with. Check out other profile boards: Keep an eye on what competitors and other businesses within your industry are doing so you don’t miss out on any opportunities or forthcoming trends. Pinterest has a page of case studies of business who have achieved real success with their presence. For some inspiration and ideas on how to take your business forward take a moment to check some of Pinterest’s success stories. Engage with your audience: Social media is all about engaging with your audience. So don’t be afraid of asking their opinion – what are their interests, what would they like to see you pinning? Contests are a great way to engage with your audience and find out more about their interests. Try running a competition for new board ideas or themes or ask them to create a board using your products from your website. Most of all have fun with Pinterest. It’s a great platform for you to get creative with inspiring imagery and interesting content. We’d love to hear your ideas and experiences using Pinterest for your business, so please do leave a comment. The use of visual imagery is becoming an increasingly important part of online communication. The meteoritic growth in social networking sites like Pinterest and Instagram illustrates just how significant images have become in increasing engagement and interaction amongst consumers. Indeed, research shows that articles containing an image have, on average, 94% more total views than articles without an image, indicating the power of a good image. 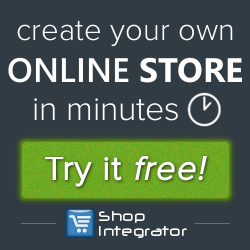 Showcase a product effectively online. The use of visual imagery on your website is essential. Not only are images valuable in terms of SEO, they are central in terms of engaging customers. Nobody is going to find a solely text-based website enticing. Using photos, illustrations, graphics, icons, infographics and videos are all great ways to improve the content of your website and as a result, increase its appeal to customers. 67% of consumers say that the quality of the image is very important when they are purchasing a product. 63% of consumers saying a good image is even more important than product specific information. Social media and images go hand-in hand, just look at the phenomenal success of Pinterest in recent years. Think about how you can use images to enhance your presence on all your social media sites. For example, when you are posting an update on Facebook, always include an appropriate image, be it an update about a new product, service, staff change, industry news, special promotion or competition. Including an image will make it far more likely for your update to capture people’s attention and in turn generate more likes and comments. Putting an image right at the beginning of your blog post is a great way to pull readers in. A relevant image can help readers understand what your post is about, help illustrate a point and stir-up an emotional response. Images are also a great way to break up text if you have a long blog. And don’t forget, images can also be used when you promote your blog post on your social media sites and in your email newsletters. Infographics also work really well in blog posts. They’ve grown in popularity over recent years as they present statistics and research in an interesting, relevant and engaging way. People tend to skim through emails and online press releases, picking out the salient points. Therefore, using images is a great way to help you get your message across quickly, break up text and create engagement at the same time. And finally, don’t forget the moving image. Using video is a great way to boost your search engine rankings (search engines love video). It’s format is engaging and it is a great tool to use if you need to educate or explain something to your customers – think product demonstrations and video tutorials. Just remember to put it up on YouTube as well as on your website. Where possible try to avoid using staged business photos as you are more likely to capture people’s attention and get an emotional response by using real people, real-life situations, humour, interesting visuals or stunning photography. Take a look at which boards get the most re-pins on Pinterest and you’ll get a real feel for the type of images that really work. it one of the factors that can help improve your SEO performance. There are plenty of low-cost and free images available on the web, but if you are not using your own photos or images then you must be careful about copyright and get permission from the author. Look for royalty free stock images that are for commercial use. I’ve listed a few of the low-cost and free websites we use for images and they’ll tell you whether an image requires an author credit or not. For the last year or two, this social media phenomenon has been the buzz word on every marketer’s lips. It is already massive in the US and looks like set to take the UK and Europe by storm as well. 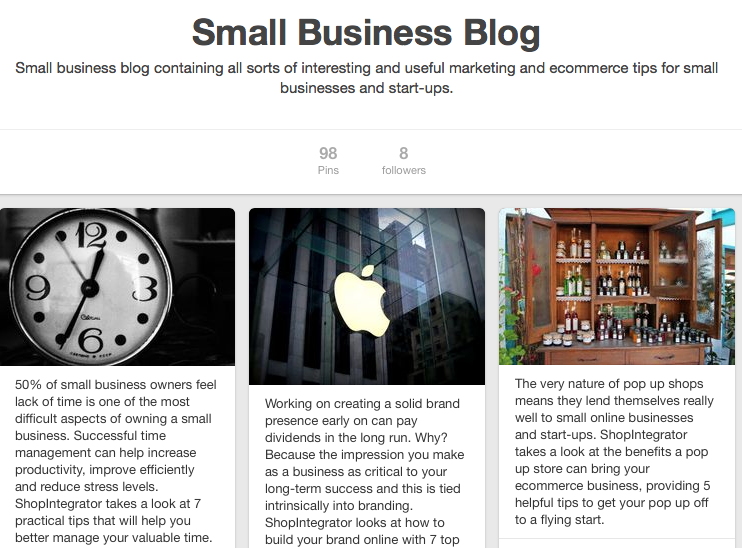 So as a small business what does Pinterest mean for you? Should you be including it in your social media portfolio? In the UK Pinterest saw a 786% increase in traffic from 901,761 visits in September 2011 to 7,985,316 in September 2012. So what is Pinterest all about? The easiest way to think about Pinterest is as a sort of social media pin board or scrapbook. People share their interests by ‘pinning’ them to ‘boards’. It is a social media platform with a strong emphasis on the visual and people connect to each other through feeds and by following boards that has content they find interesting. A follower of the pinner likes the pin and repins the jewellery onto their ‘stylish jewellery’ board. As we mentioned at the start of this post, statistics indicate that Pinterest is growing and is likely to be here to stay as a social media platform, so there is value to getting on-board. If you are concerned about time and resources, then perhaps a good starting point is to think about how easily you business lends itself to Pinterest. If you are in retail – particularly B2C you’ll probably find Pinterest is an easy step to make without too much effort. B2B can work well but it may require a little more creative thinking at the start. For example, if you are already generating content in the form of say a blog or video then these can work really well. In fact here at ShopIntegrator our first board was our Small Business Blog as it was an easy first step into Pinterest for us. If you are able to commit some time to Pinterest then it offers an additional opportunity to engage with and learn about your customers. It also provides a good way to help build your brand and develop your brand’s personality. Before you dive in setting up your own presence, spend a bit of time getting a feel for how Pinterest works. What are other businesses doing? 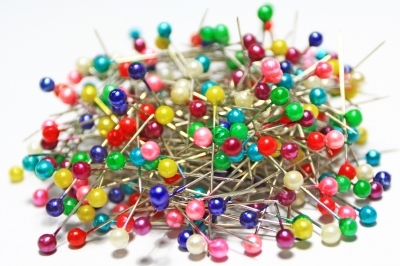 This way you’ll get an idea for what works and what makes a pin popular (how many times a pin has been re-pinned is a good measure of popularity). Check out your competitors and those businesses in a similar market that are popular and have a good following. Pinterest also has some interesting case studies that are worth looking at for some inspiration. You should be thinking about your target market when you start creating your presence. What are your customers likely to be interested in? If you sell kitchenware for example, you’d expect your audience to be interested in cooking and food so your pins could include recipes, seasonal produce and new food trends. Make yourself a bit of an expert in the areas associated with your industry or market. 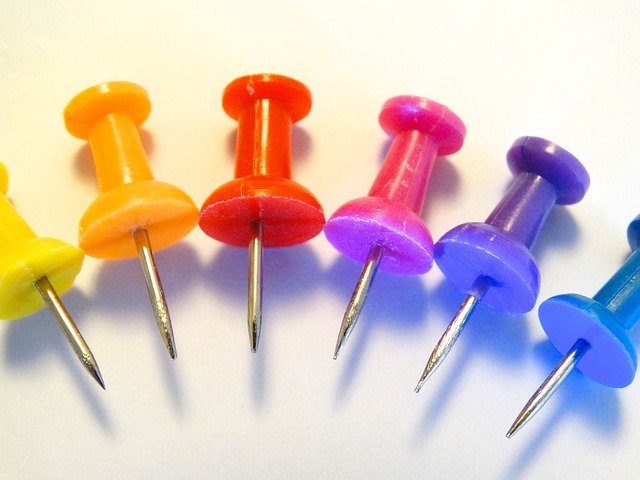 Look at your customers own pinboards – what are they pinning and who are they following. This will give you an insight into what it is your target market is likely to value and find interesting. Once you have got a feel for who it is you are pinning and creating boards for, you can get started on generating ideas. There are all sorts of popular boards that you can create in addition to product boards. Here are some popular boards that could help get you started: client showcase boards (showcase your customers latest products), fan boards (customers can pin images to a board that show your brand off in real life environments) employee recommendation boards (get your employees to set up their own boards perhaps with employee recommendations or top tips) how to boards (give your customers ideas and tips for using and getting the most out of your products), blog boards, seasonal boards and contest boards. Pinterest is a great way to get creative. Like any social media Pinterest is all about interacting and engaging with the community – your customers. So, to make the most out of your presence be active – follow other people’s boards, repin, like and comment on pins that relate to your business area. Promote your Pinterest presence on your website and emails by adding the Pinterest button. Don’t forget you can also use your other social media to help promote your boards.